Lord help me. I'm making a commitment to myself and to my bank account. July will be a "No Buy" month. I mean, enlightening! It'll be enlightening! You may have noticed that I enjoy beauty products. In fact, I love them. I love makeup and nail polish and skincare and I'm not ashamed of it. Beauty and baking are like, my thing. I've got a decent collection, to put things lightly. I've got more makeup than any one woman needs and that's a fact. So I want to challenge myself to dig deeper into my collection and rediscover old favorites. Experiment with things I already own. Because there's plenty to experiment with. I don't need the newest eyeliner or palette or lipstick. I just usually want it really really bad. So I'm gonna try a little thing called self-control. I hear it's worth trying. Please support me in my time of need. 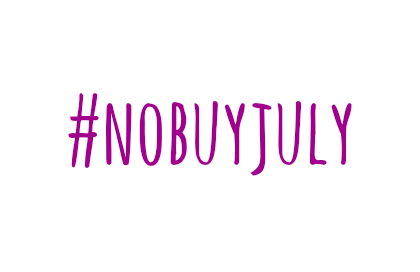 Will you try No Buy July? 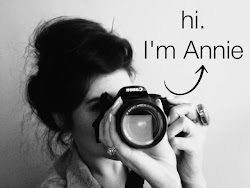 I SO need to do this, but not with beauty products. I will be with you and do it with household/kitchen gadgets. Here's to us!! We can do it!! I have faith in us!